Sunday, May 22, 1859.Springfield, IL. 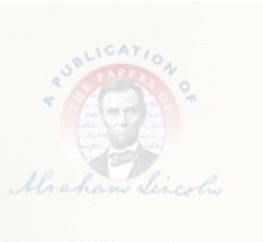 Lincoln draws up praecipe in Gaylord, Son & Co. v. Lansing & Ostrom for U.S. Circuit Court. At bottom of sheet he writes: "Mr. Herndon, please file this in the morning." Herndon does so. Files.